Colombo is a perfect blend of modernism and remnants of the colonial era. This vibrant city has history on one side and modern urban lifestyle on the other. It is one of the preferred vacation destinations on the Indian Ocean. 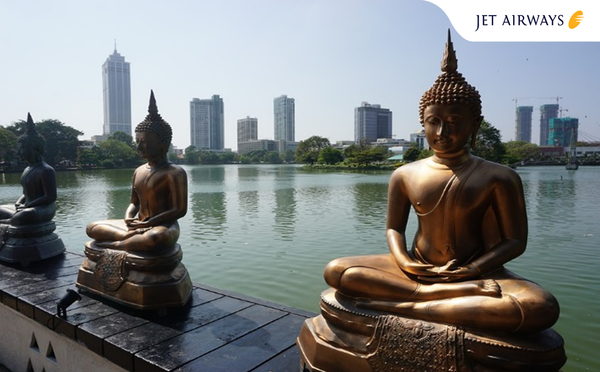 Fly to Colombo on Jet Airways allow you to enjoy spacious seating, the warm Indian hospitality of a friendly crew and great in-flight entertainment.